A student project about digital manipulation. 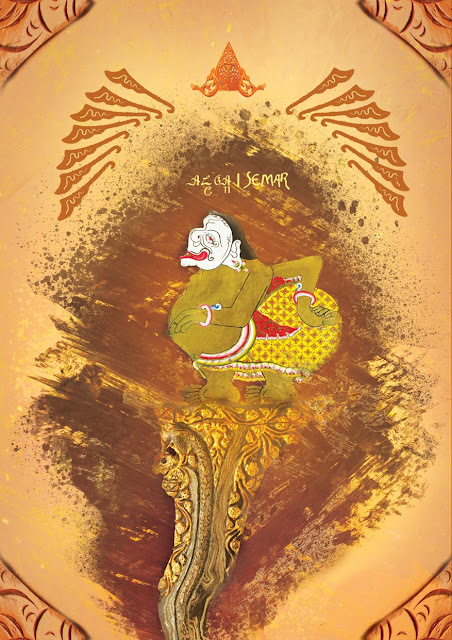 Semar is a character in Javanese mythology who frequently appears in wayang shadow plays. He is one of the punokawan (clowns), but is in fact divine and very wise. He is the dhanyang (guardian spirit) of Java, and is regarded by some as the most sacred figure of the kotak (wayang set). He is said to be the god Sang Hyang Ismaya in human form. The name Semar is said to derive from the Javanese word samar ("dim, obscure, mysterious"). He is often referred to with the honorific, "Kyai Lurah Semar" ("the venerable chief").